The Madelyn Pillow Top Full Pillow Top Pocketed Coil Mattress and Wood Foundation by King Koil at Miller Home in the Punxsutawney, Dubois, West Central PA, Tricounty Area area. Product availability may vary. Contact us for the most current availability on this product. Comfort Layers Super Soft High Performance Foam. Enhanced Quilt Foam. Balanced Base Foam. Coils and Support Contour Luxury Plus Encased Coil. High Performance Foam. Foundation/Box Spring Natural Wood Foundation: Long-lasting natural wood providing support to enhance the durability of the mattress. Laura Ashley mattresses by King Koil offer expert craftsmanship that can be seen and felt. 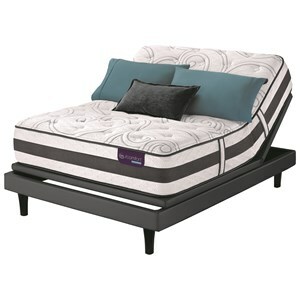 Tufting and the stitched top design convey sophisticated style, while supportive foams and encased coils ensure that you will sleep throughout the night. 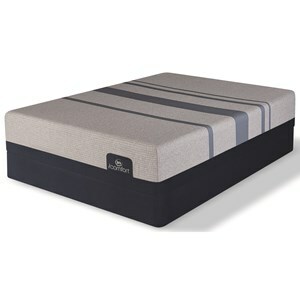 This American made mattress also features CertiPUR-US certified polyurethane foam. The Madelyn Pillow Top collection is a great option if you are looking for Mattresses in the Punxsutawney, Dubois, West Central PA, Tricounty Area area. Browse other items in the Madelyn Pillow Top collection from Miller Home in the Punxsutawney, Dubois, West Central PA, Tricounty Area area.